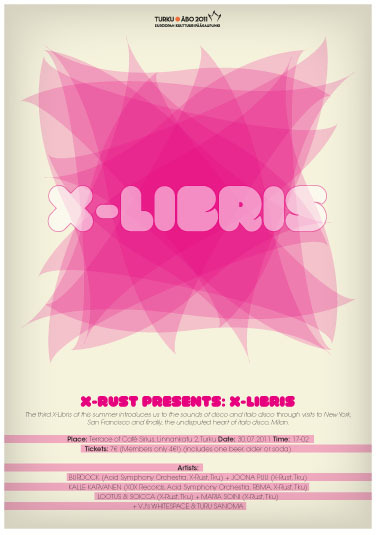 The third X-Libris of this summer introduces us to the sounds of disco and italo disco through visits to New York, San Francisco and finally, the undisputed heart of italo disco, Milan. Visuals by VJ Whitespace and Turu Sanoma. Price includes drink. Age limit 18.